Day started with me forgetting to set my clock. Robert got to my house and hooked to my boat and headed to pick up Lavon. 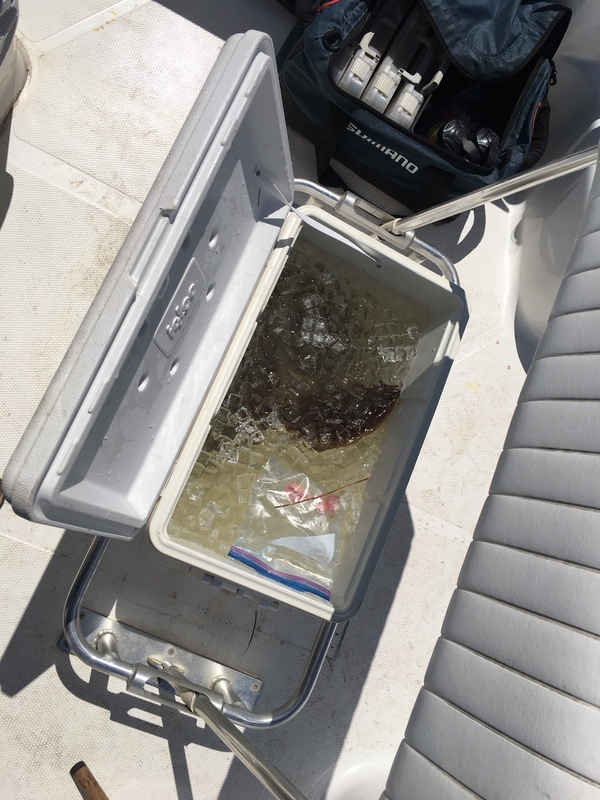 He had got ice from church for the cooler, so I hopped in the boat to put it in the cooler. Oops I forgot it at my house. Well instead of a nice padded 96 qt seat I usually have , today will be a 48qt unpadded. So off we go. Pretty crowded at the ramp but not take long to get launched.
. Pretty chilly ride out. We headed down towards rock island.
. Beautiful day out there today. So we’re fishing and robert says “ so you think a banana peel will sink?” Lavon and I say in unison...”You brought bananas!! !” He asks why thats a problem. So we tell him. Then say we might as well go home ad the fish will not bite. 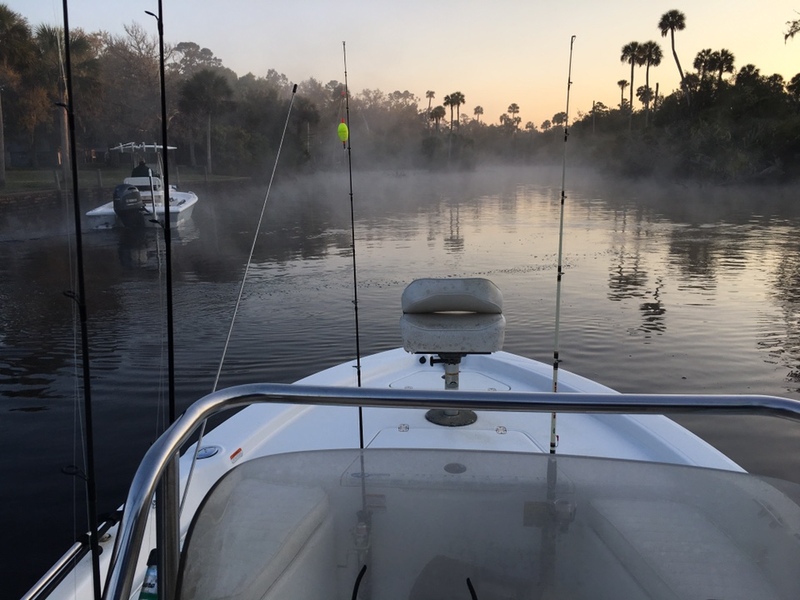 We rib him some more and continue fishing. By after lunch all we had in the cooler was 4 flounder (2 Lavon) (2 me) and Robert zip. The only time we had bananas on the boat one engine wouldn’t start at the ramp and then one had oil alarm issues about 37 miles out. Looks like a fun day though. the curse of the banana...it lives on. Glad you non-banana eaters got into a few . Looked like a fine day out there. Going down Friday through Sunday this weekend.